THE CD FOR SALE HERE IS THE JEWEL CASE VERSION. It has exactly the same audio content as the Limited Edition Digipack and the same 20 page booklet. Bigger and bolder than ever, Series 11 marks the arrival of the Thirteenth Doctor, award-winning actress Jodie Whittaker. – a super-smart explorer of the universe, alongside a team of new friends and delightful characters. The new series heralds a brand-new era for Doctor Who, full of action and adventure, humour and heart – an unmissable high-end drama everyone will enjoy. Segun Akinola is a multi-talented composer who has strengthened many projects with his musical acumen and is a BAFTA Breakthrough Brit. 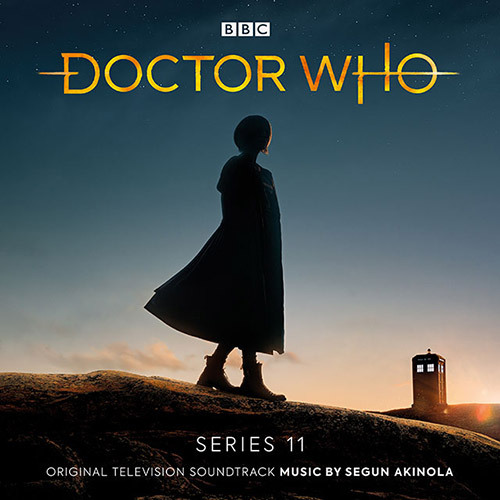 Segun’s work includes scoring BBC Two’s landmark four-part series Black and British: A Forgotten History, written and presented by Historian David Olusoga. He also scored Shola Amoo’s debut feature film A Moving Image, which had its world premiere at the 2016 LA Film Festival.